Comments for College dance team requirements? It seems like the dance you practice has a very sportive character. I say so because you talk about a dance team/pom and not about a dance company. Dance can be practiced as a sport indeed and in that case there are usually high requirements regarding acrobatics and body aesthetics. But, in the case of dance as an art, that is not necessarily so. I've already talked about this subject with other visitors that sent related questions and I believe that it could be useful for you to read those threads. Now, the requirements to make it into a college dance team depend on the type of dance group that exists in each college. If you are really passionate about dance, I think you should make a small research about the dance groups of those colleges you intend to go to. Just visit their websites, find the persons who are responsible for those companies or teams, contact them directly and ask. Depending on what you discover, you could start preparing yourself right away for the requirements. If those groups have an artistic spirit, it is very possible that they will accept you, or at least they will give you lessons till you're ready to perform. If you feel that you haven't been dancing for enough time yet, don't worry. Just continue with the practice. See if there's a way to take more classes outside school and persist. You will see that the moment of being ready will arrive. But you need to continue practicing and researching about dance by your self to grow up as a dancer. 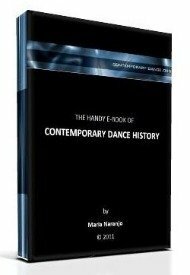 As far as contemporary dance concerns, I will always be here to help you out with whatever is in my hands. Don't hesitate to come back to our website with more questions or to participate in any other way. Thanksss :-) that was helpful.